Never alone. We are so blessed that we are never, ever alone on this Grace-Filled Journey. In the last two weeks alone, we've had several friends share gifts with Grace or notes in the mail, just to remind us that we're never alone. Her friend Lindsey Storm brought her a stuffed Minnie Mouse and a stuffed Pluto from her family vacation to Walt Disney World, and Erin Kistner and her mom picked out a darling new pink doll that Grace just loves to snuggle with. One of her preschool friends, Dahlia, brought Grace a darling new outfit and mailed her a photo she'd painted. A young girl named Faith Overton from Raymond mailed Grace a photo she'd drawn with a beautiful poem and just over $100 to donate to INAD research. And this week, the VanOstran family made a Minnie Mouse wall hanging for Grace's room. Yup, we definitely feel pretty blessed to be loved by so many. And to have such awesome support from our community has helped us raise more than $100,000 for INAD research at Washington University in St. Louis. When we started, our goal was to raise $10,000, and I thought even that was a stretch, but all those on this Grace-Filled Journey have proved me wrong over an over again. In this blog, we want to recognize some of those donors who might not have been mentioned in other blogs since the beginning of the year. We are truly grateful for your love and support, and your help on this journey. It always helps to remind us that we are never alone. Shortly before the new year started, Greg Holcomb of Country Financial in Hillsboro told me his office had a donation to INAD research. Throughout the year, they held "jeans days" on Friday, where staff members could wear jeans in exchange for donating $1 to the cause. Grace and I stopped by the office one day for a check presentation photo for the paper, and so that everyone could say hi to Grace. 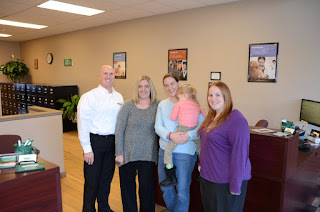 Our friends at Country Financial held "jeans days" for Grace. 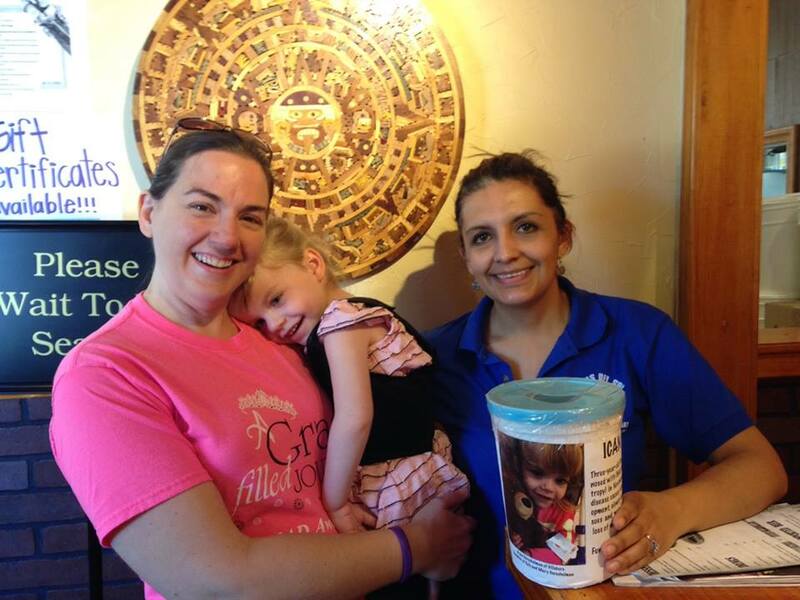 Another thing that was started in 2015 was a fundraising drive at one of our favorite restaurants in Hillsboro, Lomas del Sol. Grace had eaten there with us many times, and they asked if they could do something to help. 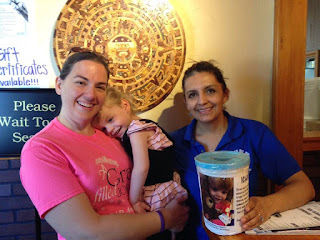 So, we took some gracelets by and a canister to collect donations on their front counter. The restaurant manager stopped us earlier this year to say the bucket was full, including over $100 in donations. We stopped for a photo for the newspaper, but they wanted to make sure we brought another bucket back in for the counter, and it's still there for customers to make a donation to INAD research. Our friends at Lomas Del Sol have been raising funds for the past year! Our newspaper families have been good to us as well. The Illinois Press Association published our story this year, and we have received contributions from the Macoupin County Enquirer Democrat as well as the The Okawville Times. It's been neat to see these businesses stand together with us and show so much support. It's been really fun for us to see the local high schools get involved with our story. Some of the sports teams have worn gracelets or hosted penny wars and other fundraisers. The soccer team from Lincolnwood High School even participated in the Grace-Filled 5K as a team. I have just really enjoyed seeing the kids who are such a part of Grace's story. From volleyball to soccer, it seems like Lincolnwood one was of the first schools to be in our corner, and continues to stand in support of our journey. 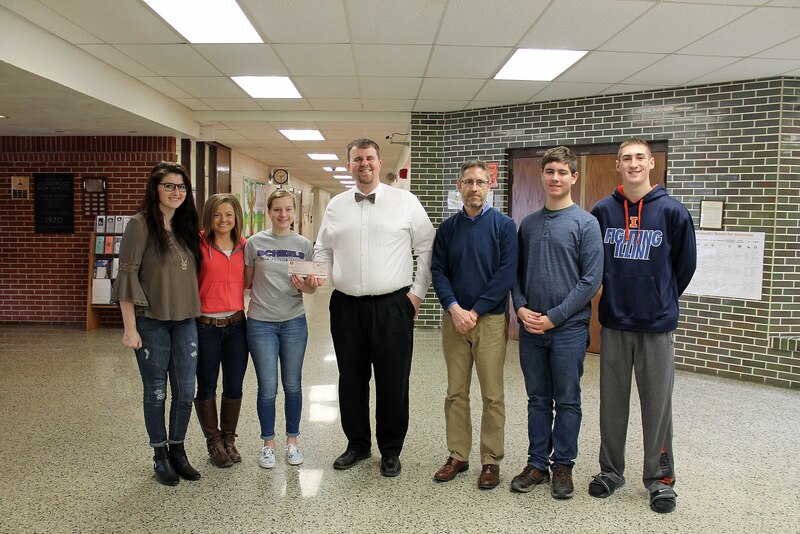 At the beginning of the year, Kyle picked up a check from the Lincolnwood Community Service Organization. 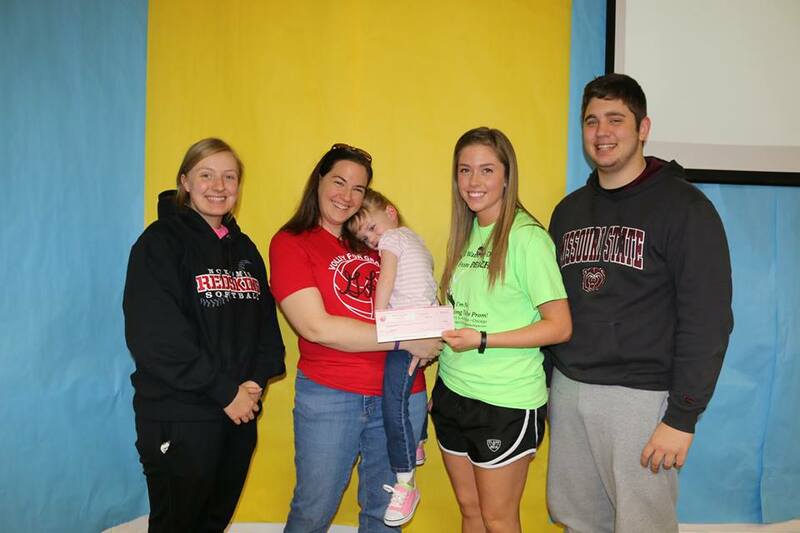 They earned $550 for a local charity from helping to host Central Illinois Community Blood Center blood drives, and they picked INAD research for their donation. The Lincolnwood Community Service Organization donated their blood drive winnings to INAD research. Then, in the spring, the high school softball team joined forces with the junior high's Fellowship of Christian Athletes, who hosted a bake sale during the weekend softball tournament. 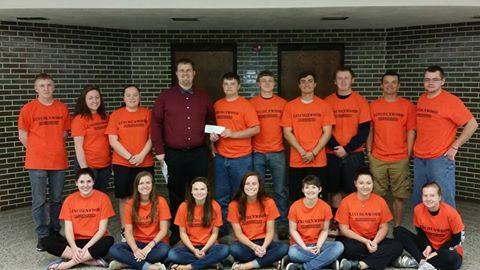 Finally, the senior class had a donation for INAD research from the sale of their class shirts. It's just been amazing to see the kids join our journey! Members of the high school softball team and junior high FCA teamed up for a fundraiser. The senior class donated part of their T-shirt money to Grace. At Nokomis High School this year, both the football team and softball team wore gracelets, and shared photos for the occasion. 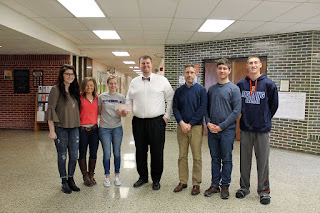 This spring, their Student Council hosted a special fundraiser, called P'Jammin'. 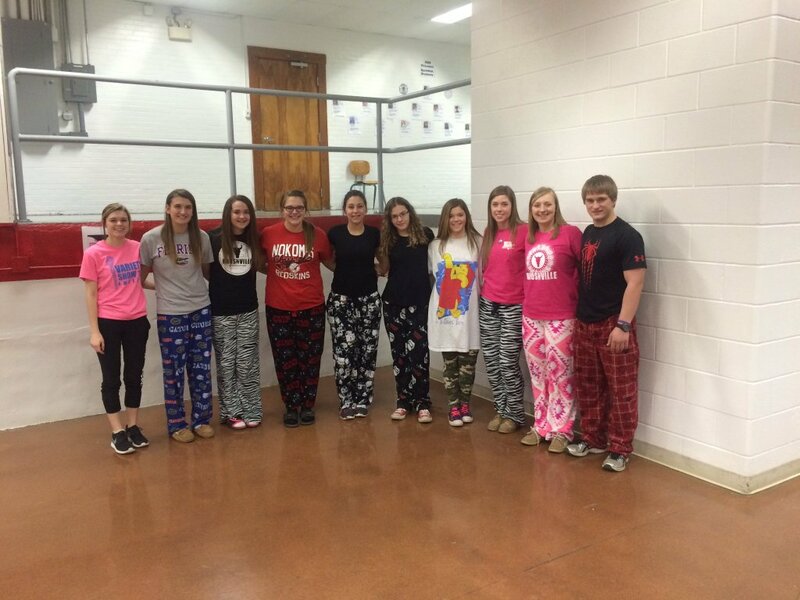 Students could wear their pajamas to school on Fridays for several weeks if they donated $1 to INAD research. We stopped by one day on lunch for a check presentation photo, and Grace was giving out lots of smiles. Nokomis students wearing their pajamas to school! The Student Council gave Graee a check for their fundraiser. Earlier this year, you probably read about Sparkles for Grace, which was a Premier Designs jewelry party that raised money for INAD. Since then, several other direct sales business vendors have generously hosted parties for Grace as well. Our friend, Jo Brummet of Nokomis, hosted a Stampin' Up party from January to March and helped to raise money for research. Stampin' Up includes a wide variety of rubber stamps and other scrapbooking suppplies. In addition to her fundraiser, Jo is always bringing me handmade cards she created to send out to others, and I just love it! Then, in March, my cousin's wife, Lindsey, and her family hosted a Rodan and Fields party, called Fresh Face for Grace. The best part was that I was invited over to her house for the evening, where her sister, Chelsie, explained how all the products worked. Kyle stayed with Grace, and I had such a relaxing evening out with the girls, as well as helping to raise funds for INAD research. And in case you are still looking for ways to participate, one of my high school classmates, Stefanie Howard, is hosting a Norwex party during the month of July, and donating 20% of the proceeds to INAD research. We're pretty excited about it, and I'm looking for some new cleaning products for the house! Throughout our journey, several of the local services organizations have stepped up and joined A Grace-Filled Journey. Some have helped cook at local events, or raised money for research or to help Grace. This spring, Ducks Unlimited held a special fundraiser at their annual banquet for the second year in a row. They raffled off two pink duck calls and split the funds between Grace and another little girl from Litchfield, named Faith. This year, they donated half the funds to INAD research and half to the Faith Hartzell Memorial Scholarship fund. Also this spring, one of Kyle's friends contacted him about a sorority that his mom belongs to in Litchfield. Each year at their mother-daughter banquet, they take up a collection for a charity, and this year, they picked INAD research. Grace and I had hoped to attend in person, but it was the same night as the mother-daughter banquet at our church. They ended up collecting around $300 for the study, and we still hope to get to one of their meetings to say thanks. Countless others have given donations, left memorials or just said a prayer for us. 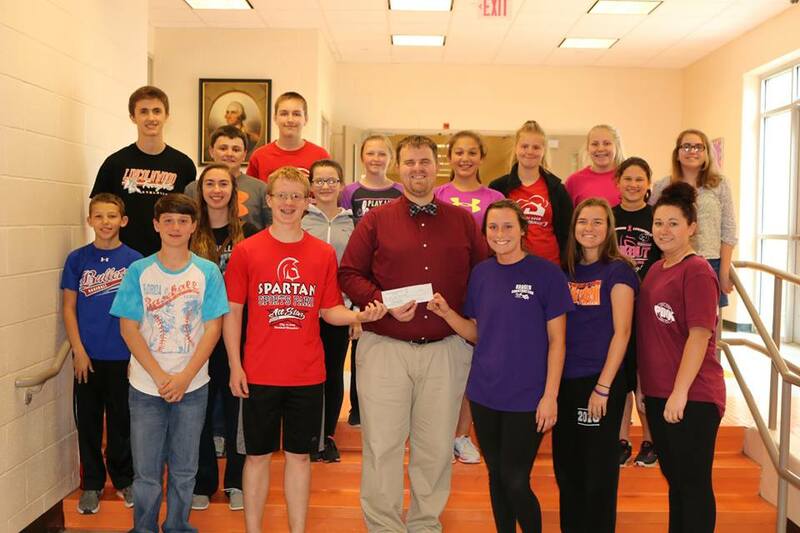 This summer, Kyle's graduating class from Lincolnwood donated the remainder of their class funds to INAD research. So, you can clearly see that we are blessed not to be alone in this journey. Grace has SO many people that love and support her, and we feel so grateful to be a prat of it. Whether you shared a card or a text, participated in a fundraiser, or even keep a gracelet on your wrist, we're so glad you're a part of this Grace-Filled Journey.